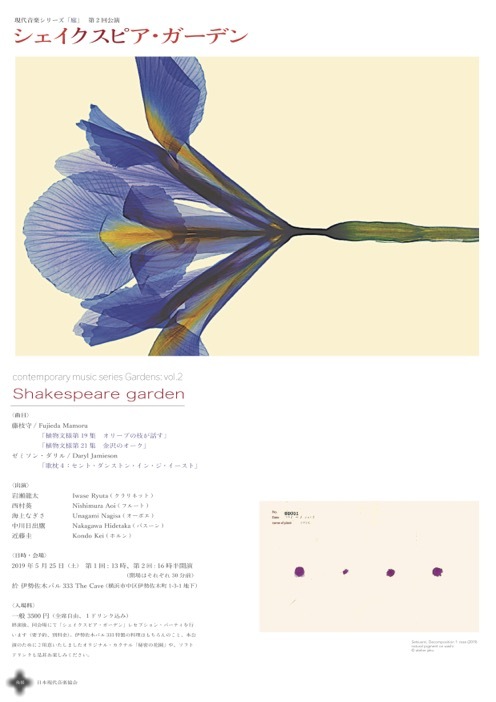 My next concert in Japan will be on 25 May. 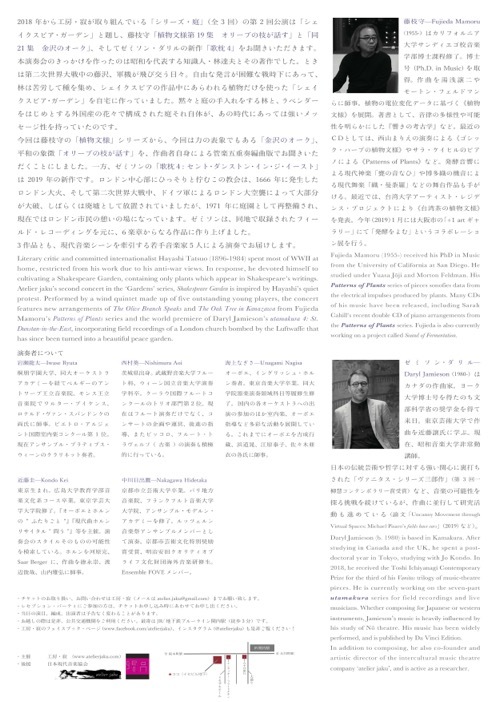 In addition to the world premiere of my own piece utamakura 4: St Dunstan-in-the-East, brand-new arrangements of two collections of Mamoru Fujieda’s Patterns of Plants series - Pattern of Plants the 19th: The Olive Branch Speaks and Pattern of Plants the 21st: The Oak Tree in Kanazawa - will be performed at the Cave in Yokohama. For more details, see the atelier jaku website.